Working mainly in watercolour and ink, but also with printmaking, the images centre around the architecture and landscapes of local areas. Brush marks are loose and bold giving an impression of what she sees. She uses ink to structure the images and add definition. 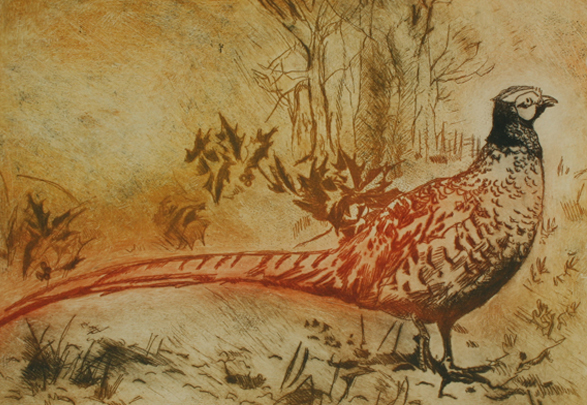 Helen is mainly self taught although has attended many courses both in London and Devon where she exhibits regularly. 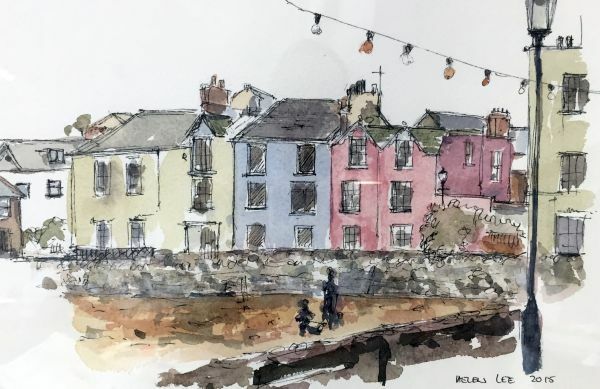 Her work has a distinctive loose style using line and wash. She often has an architectural component in her work and has recently painted a selection of buildings in Barnstaple and Ilfracombe. Since her move to north Devon she has been inspired by the fauna and flora of the area and her newest work reflects this. 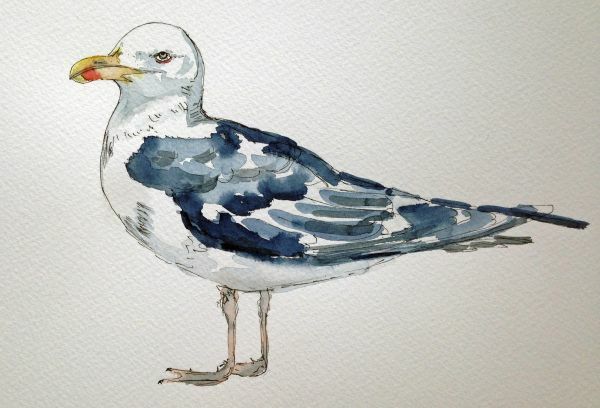 She has painted a selection of birds in watercolour and uses a variety of printmaking techniques. She is exhibiting in her own gallery space converted from a listed coach house in Barnstaple. Venue number: pending – Brochure page: Venue No. and Brochure page will be added when ready.